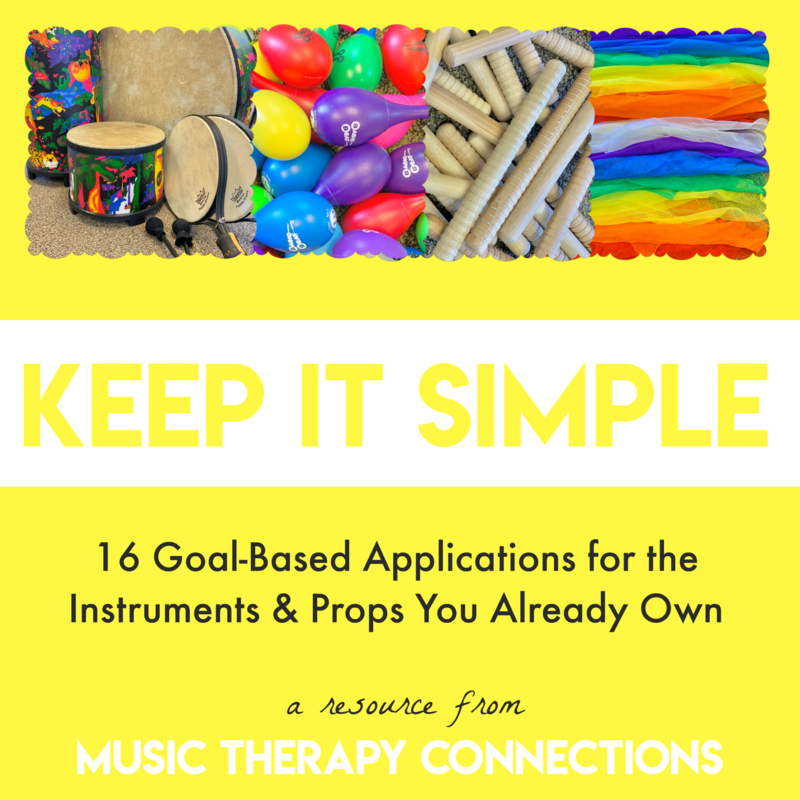 Introducing Keep It Simple: 16 Goal-Based Applications for the Instruments & Props You Already Own. This versatile collection, along with drums, rhythm sticks, scarves and shakers, can be used across settings and populations to achieve a wide range of goals. For full product details, read the description below. Do you find yourself gravitating towards the same instruments and props on a regular basis, but feel like your repertoire that goes along with them is getting a little stale? We get it. After years of working in many settings — including schools, hospitals, early childhood centers, senior living facilities, and private practice — with a wide variety of populations, we found that across the board, we were using the same handful of instruments and props again and again. We call them the big 4: drums, rhythm sticks, scarves, and shakers. These instruments are incredibly adaptable, accessible, and affordable, not to mention that just about all of our clients enjoy using them. We have flexed our creative muscles to find different ways to utilize the big 4 within our sessions, and now we’re sharing those ideas with you. Keep It Simple offers 16 applications that you can easily put to use in your own sessions. Each application includes a demonstration video and link to lyrics/chords, along with a detailed facilitation guide outlining the targeted objectives, procedure list, and multiple adaptations. In addition, there are overviews for each instrument/prop, which include a list of general objectives that can be targeted using those materials, additional intervention ideas, and 10-15 extra songs that pair well with each instrument/prop. We created Spotify playlists for all 4 categories, which are linked in the overviews. We’ve also included a quick reference spreadsheet containing an overview of the objectives for each application. Although many of the songs may seem simple or you’re familiar with them already, we have found a variety of ways to facilitate them in order to help our clients meet their goals. 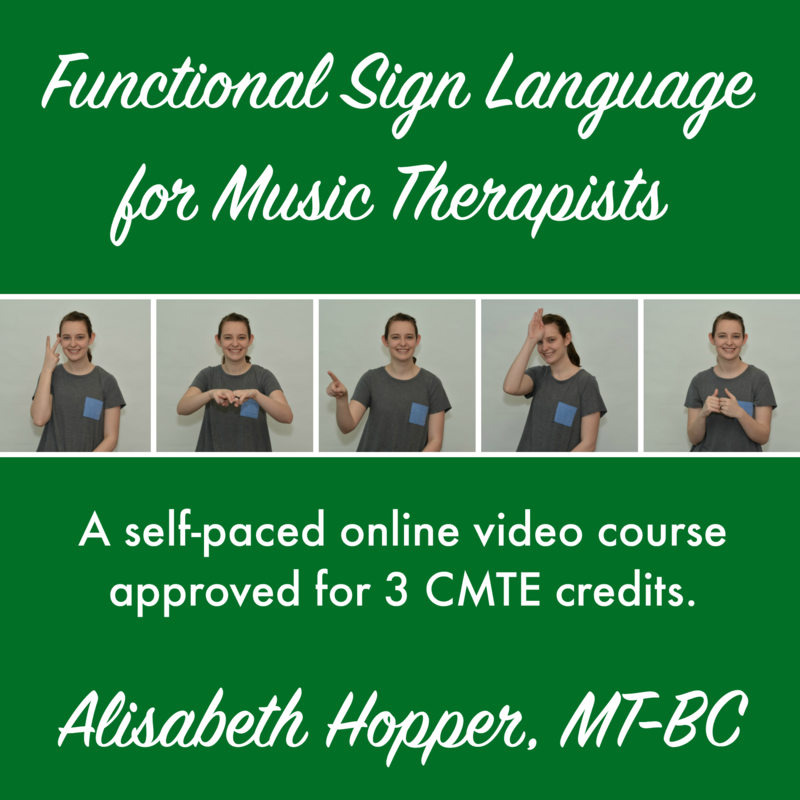 One last bonus: since sign language is such an important part of our practice (and is mentioned in a number of adaptations), we’ve added 2 extra applications that can be used not only with the big 4 instruments/props, but also incorporate many meaningful signs that can be used across populations. Sign demonstration videos are included. These tried-and-true applications have been effectively put into practice in all of the settings previously listed, and our clients ranging from 3 months old to 90+ years old have benefited from them. We hope that your clients will, too!